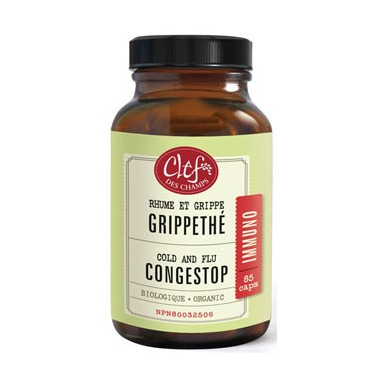 Clef Des Champs Organic Congestop Capsules are traditionally used in Western herbalism to treat colds and the flu and to soothe the symptoms of sinusitis or seasonal allergies. Adults: Take 2 or 3 capsules, 2 times per day, for 2 weeks. Consult a health care practitioner if symptoms persist or worsen. Avoid taking with all prescription drugs. Do not use if pregnant or breastfeeding. Avoid taking with immunosuppressants.